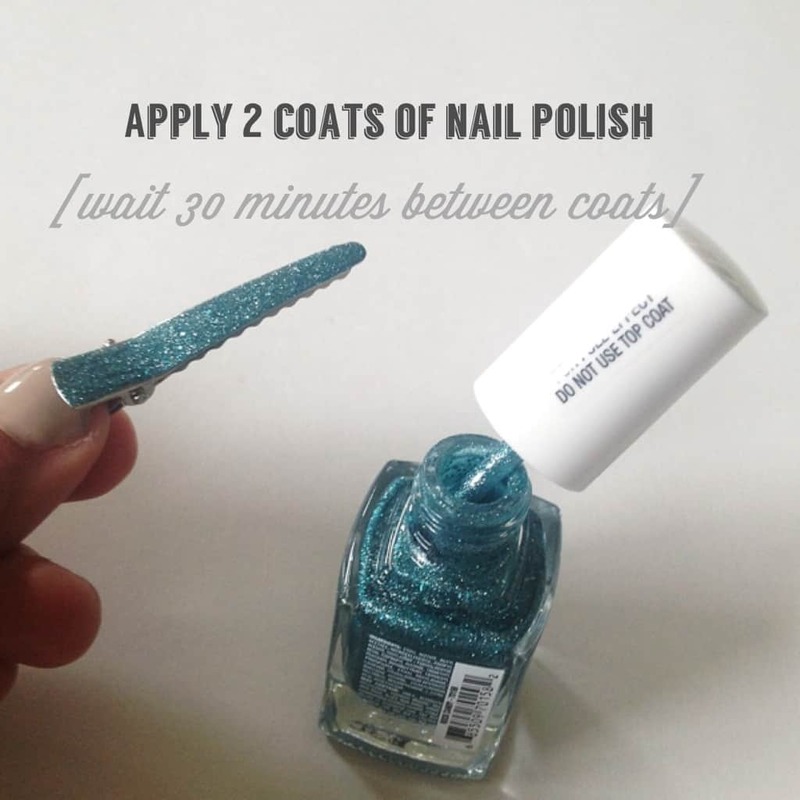 There are so many reasons to love nail polish. Besides being an awesome tool for expressing creativity in your personal style, did you know that it makes for a really great crafting resource as well? 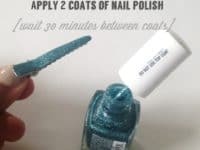 Nail polish works just like paint in most cases, but it often has a better ability to stick to different surfaces than paper or canvas without chipping and flaking the way a lot of paints would. In addition to that, it’s usually a lot more sparkly. 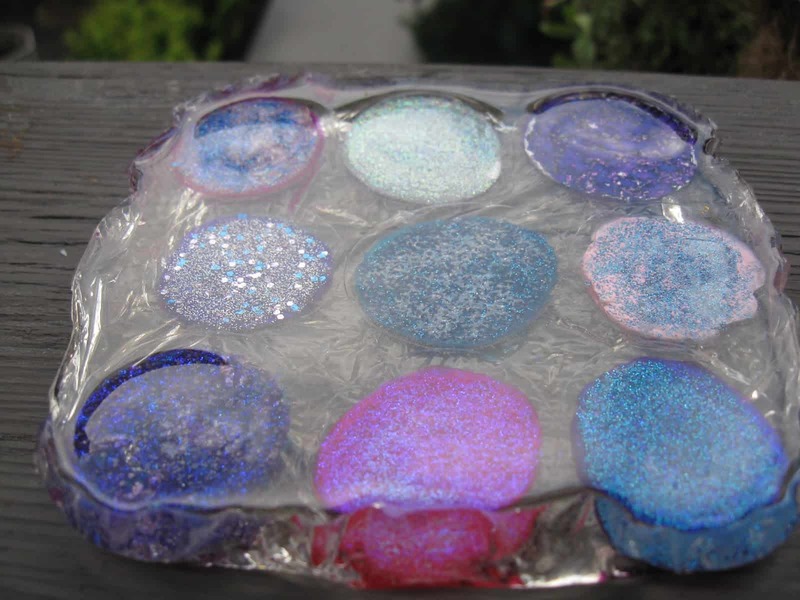 Finally, the density of nail polish and they way it dries makes it great for uniquely cool crafting techniques! 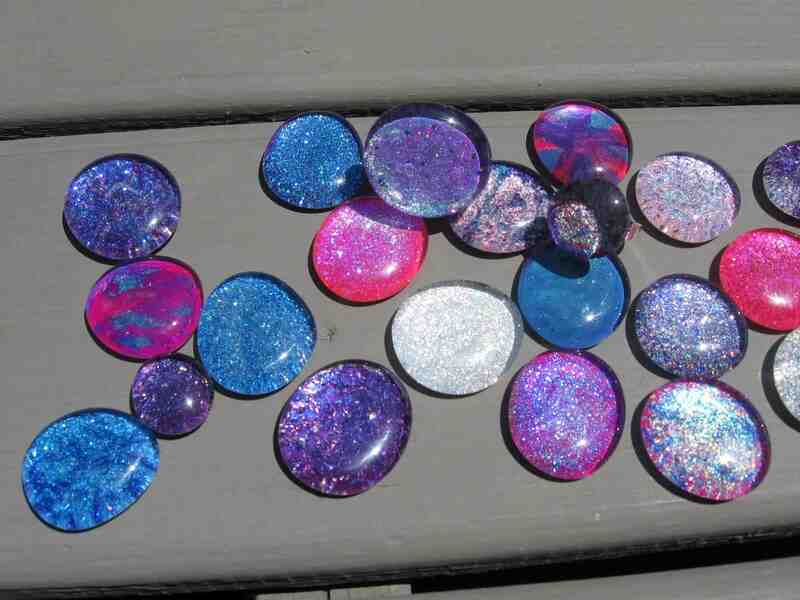 Are you just as intrigued about nail polish crafts as we are? 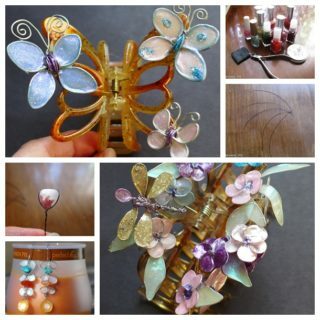 Check out these 15 awesome nail polish projects and tutorials that we’ve either already tried and had a blast with. 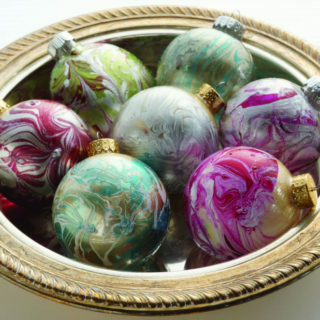 We’ve always had a strange love for decorative flat-backed glass marbles. Perhaps it’s the era we grew up in, but there’s just something about them that screams fun décor to us, especially if there are bright colours involved! 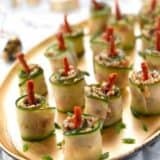 We love that you can make them look either classy or kitschy, depending on how you arrange them and what you make with them. 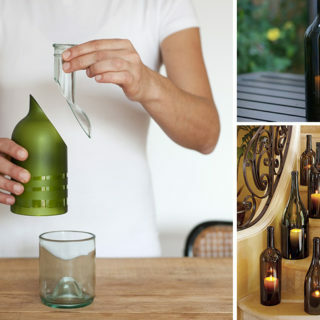 What if you only have access to the regular clear glass kind though, rather than fun coloured ones? Well, Craft Klatch is here to show you a great way around that! Paint the backs with nail polish and glitter using their awesome (and totally kid-friendly) technique. 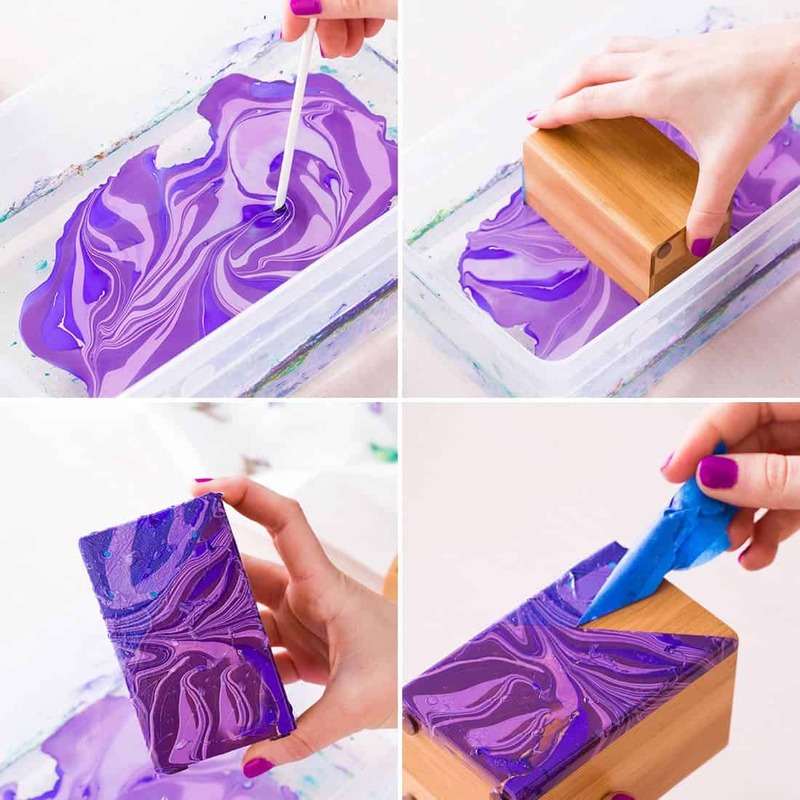 If you’ve never tried nail polish water marbling then we’re sorry to tell you that you’ve been missing out! There’s just something so fun and interesting about the technique, which can only really be done quite so effectively with nail polish as opposed to paint. 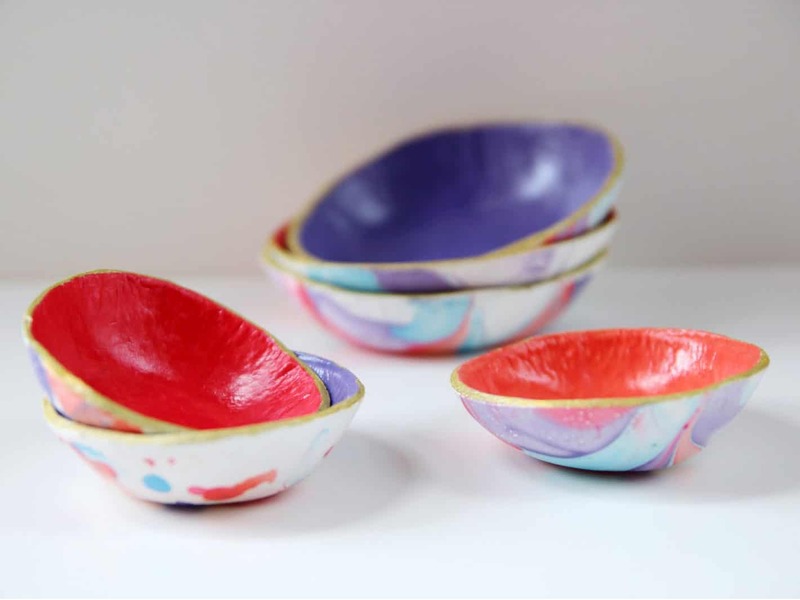 We love the way Gathering Beauty turned these simple little decorative bowls into works of art where they would have otherwise been plain and only functional. 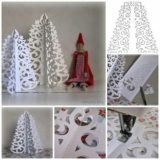 Now they’re useful and stunning to look at! 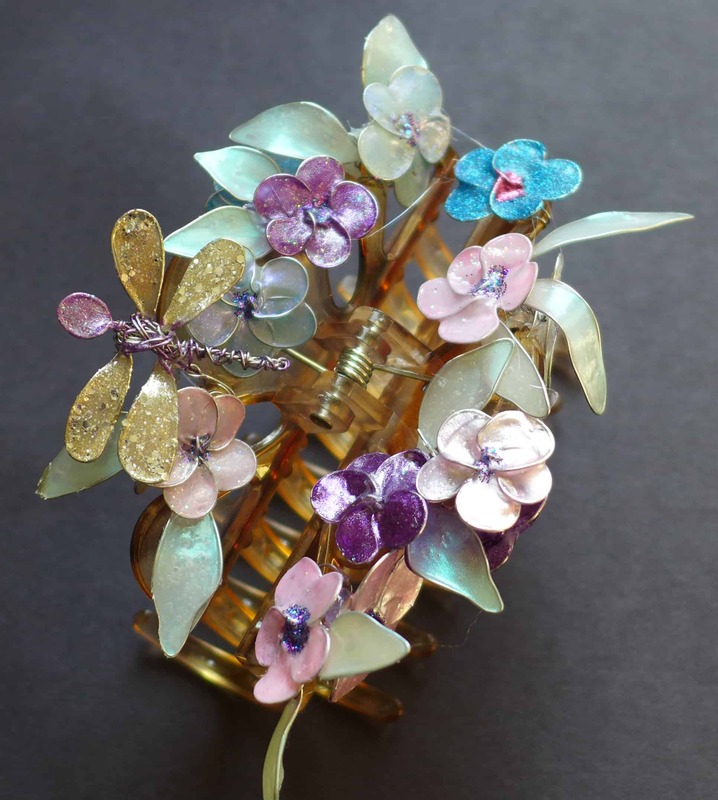 Have you ever thought of altering your old banana clamp style hair clips to give them a little more “umph” since you know the style is slightly outdated, but you still use them regularly because they’re great for keeping your unruly hair tamed? 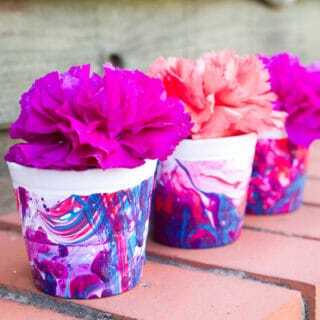 Then here’s a totally awesome DIY way to put a cute floral spin on your clips! 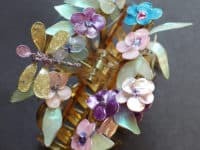 Get Crafty shows you how to make pretty little wire flowers and to give the petals a shining coat of colour by doing some nail polish dipping. 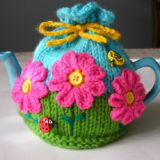 Have you always been a big an of personalizing everyday home things that you bought from the store looking quite plain? We love doing that too! 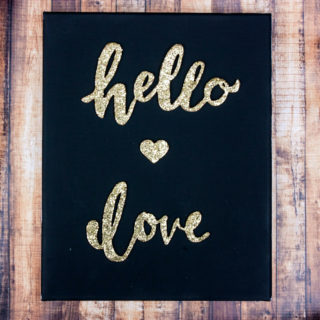 We’re always painting or glittering the little useful aspects of our home that we use everyday. 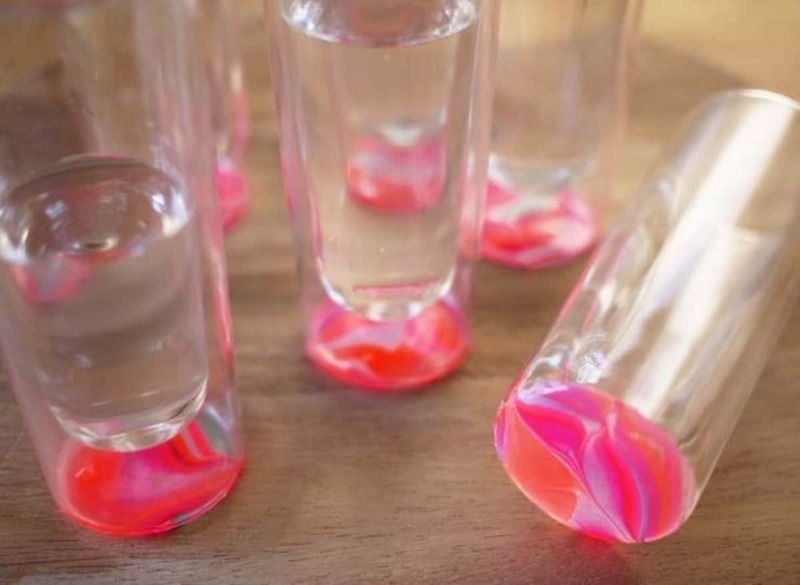 That’s why we loved this cute nail polish embellished shot glass idea! 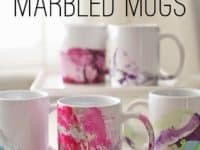 Huffington Post shows you how to very simply transform the glasses by marbling brightly coloured nail polish across the top of a bowl of water and carefully dipping the bottoms of the shot glasses in to catch the swirled mixture. We love the way the patter shows through the glass, letting guests appreciate it even though the design of interest is on the bottom sitting against the table. 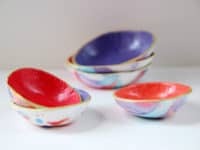 Perhaps you love the idea of polish marbling your kitchen wares so much that you’d rather do a project that showcases the colours a little better, really allowing whoever uses your dishes to appreciate the combinations and shapes you managed to create when you dipped the piece? 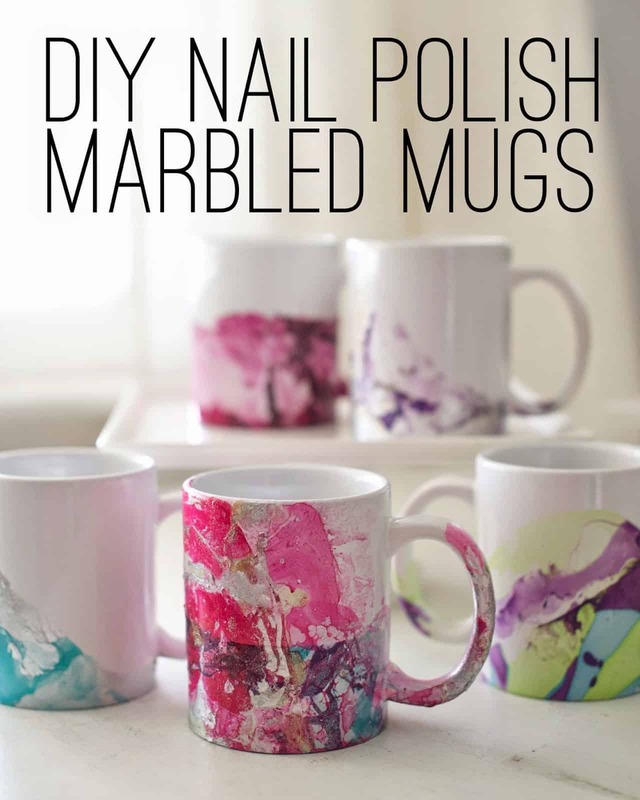 In that case, we have a feeling you’re going to love these polish dipped mugs from Domestic Fashionista! We actually made these for our kitchen and we’re very glad we did because they genuinely brighten up our morning each day when we enjoy our pre-work coffee. Have you amassed a decent jewelry collection but you’re always finding that things have become tangled or lost just sitting on top of your dresser without a set place to go? In that case, we think you’d make great use of a jewelry box! As usual, however, we’ve found a way to personalize the box you buy so it looks even cooler than it already did. Check out how Brit + Co. used polish dipping and tape to make a wooden safe box with a neatly edged strip up the middle. 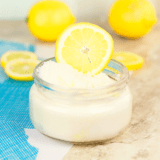 As you can probably tell by now, we’re pretty obsessed with the nail polish marbling technique, even though we know it’s not the only DIY thing you can actually use nail polish for. In fact, we’re so obsessed with it that we’ve started incorporating it into our home décor in more tangible ways, like on the furniture. 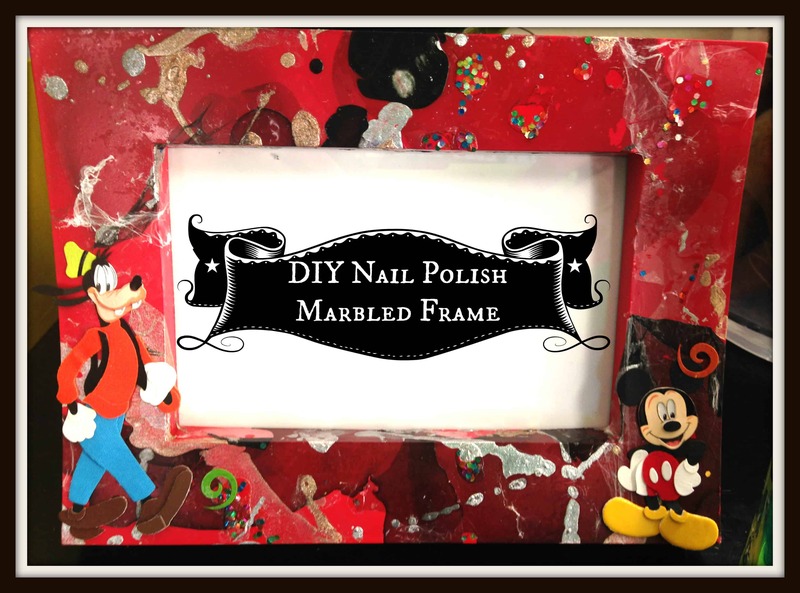 This tutorial from The Pink Doormat, for example, shows you how to detach, marble, and reattach the knobs of you dresser drawers to get a little pop of colour! We did this in the exact colour you see in the picture a few months back and we’re very happy with how it looks. Are you still thinking about those glass marbles or stones we were talking about earlier on our list and wondering what you might do with the ones you’ve polished the bottoms of once you’re done? 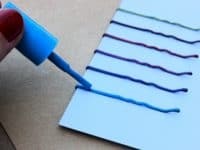 Well, there are actually any number of cool things you can create with those but just in case you’re in need of some inspiration, here’s a very cool coaster idea from Craft Klatch, complete with an easy tutorial for you to follow along. 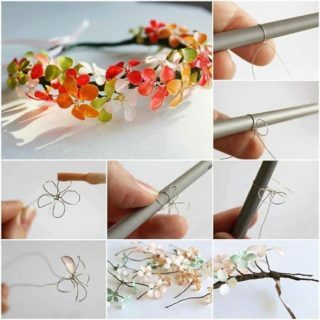 Were you intrigued by the wire flower and half clip idea we showed you above, but you’re not sure you’re ready to tackle that entire project yet and you’d rather just learn how to make the wire flowers themselves? In that case, we’ve found just the tutorial for you! 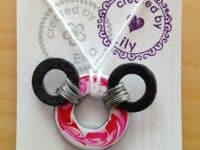 Craftsy guides you through the process of not just bending the wire into the shapes of petals, but also dipping those petals into water floating nail polish, just like you would in the marbling technique, to create a fine plastic film across the hole in the centre of each. That film looks like a delicate lower in whichever colour you decided to pour onto your water’s surface! 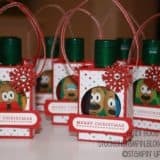 If you’re going to craft, are you intent on transforming something unconventional that you might not normally use for creative DIY into something pretty that you’d actually wear? 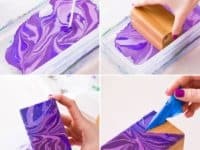 We love totally upcycling things in unique ways like that, especially if we get to do some water marbling at the same time. 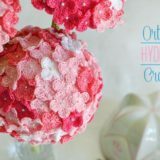 That’s why we loved this tutorial from Holly’s Art Corner so much! 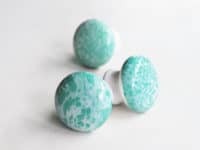 They show you in detail how to marble some old washers from your tool bench so they feature pretty colours, as well as how to attach them so the two smaller, darker washers sit high on the larger one like a pair of little mouse ears. 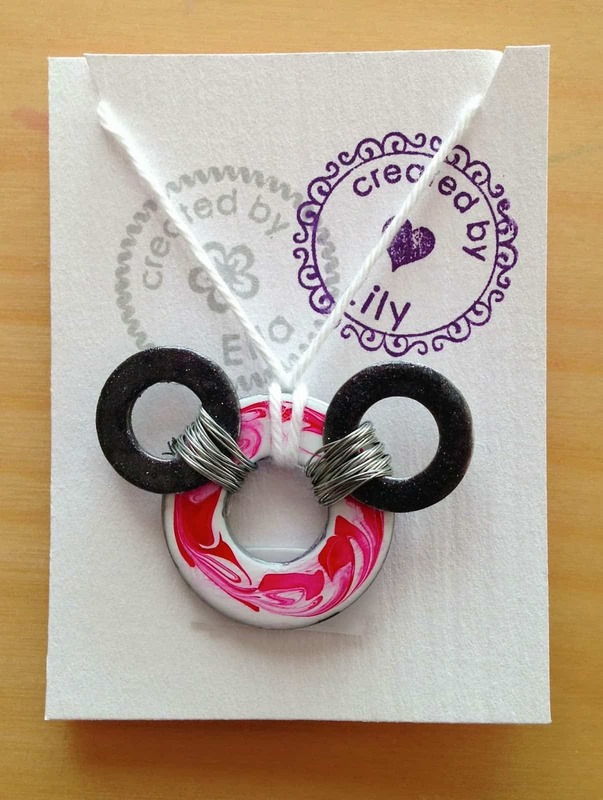 Finally, turn the whole thing into a necklace so you can wear your Minnie Mouse inspired piece wherever you please! Does your nail polish collection consist mostly of purple, black, and slate shades in various finishes and levels of sparkle because your personal style is quite dark and inspired by mystery and fantasy? 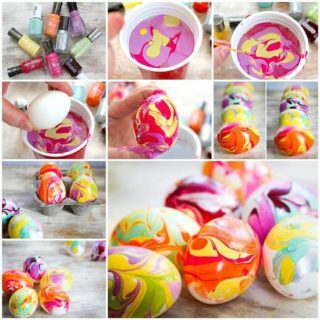 Well, grab a foam egg from the craft store and a pack of thumb tacks or push pins from your desk and voila! 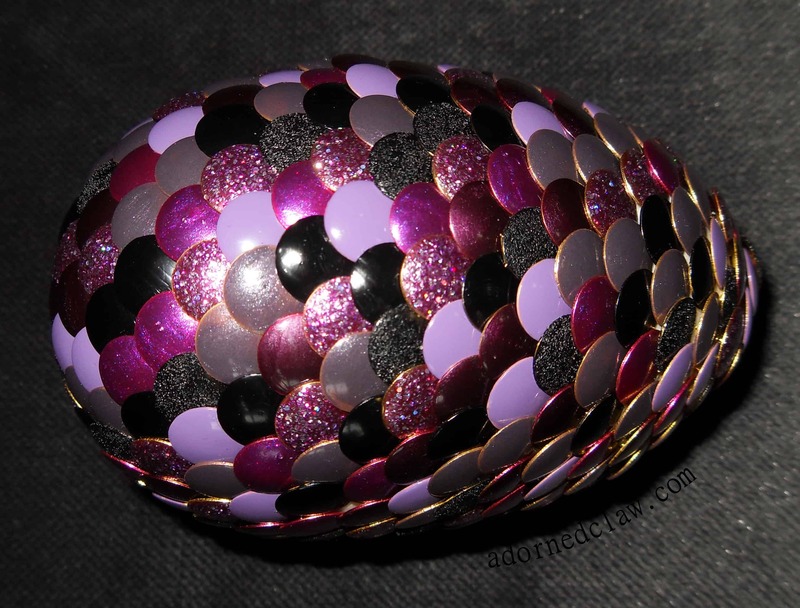 You have everything you need to make this amazing faux dragon’s egg from The Adorned Claw happen. Paint the flat top of each pin a different colour and then, starting in the centre of the bottom and layering out, press the pins into the foam so the egg looks like it’s covered in dragon scales. 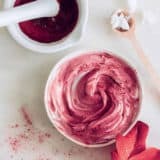 Are you actually just looking for a very simple DIY idea solely because you’ve found a colour of nail polish that you love so much, you just wish you could paint your whole life with it? Maybe you want to wear that colour as a bright accessory even when you’re already wearing another colour polish that you’re not ready to change yet. 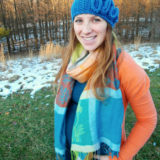 Perhaps it matches a new shirt you got exactly and you want to have as many cute adornments as possible to go with it and make an entire outfit! 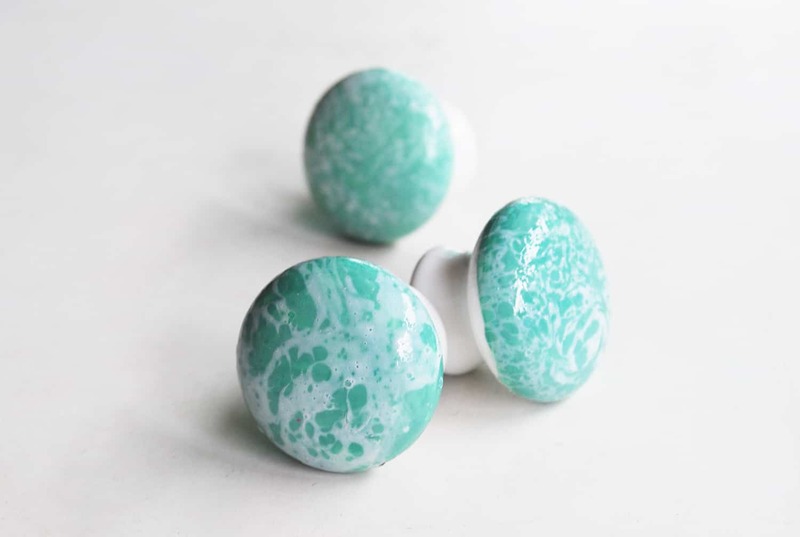 Whatever the reason, we have a feeling these super simple painted hair clips by Kraft Mint are just what you need. It’s wildly easy; simply buy some plain hair clips from the store and paint the top so the pretty colour you love shows when the clips sits in your hair. Are you still very into the idea of nail polish covered locked but you just haven’t quite seen the idea for you yet? 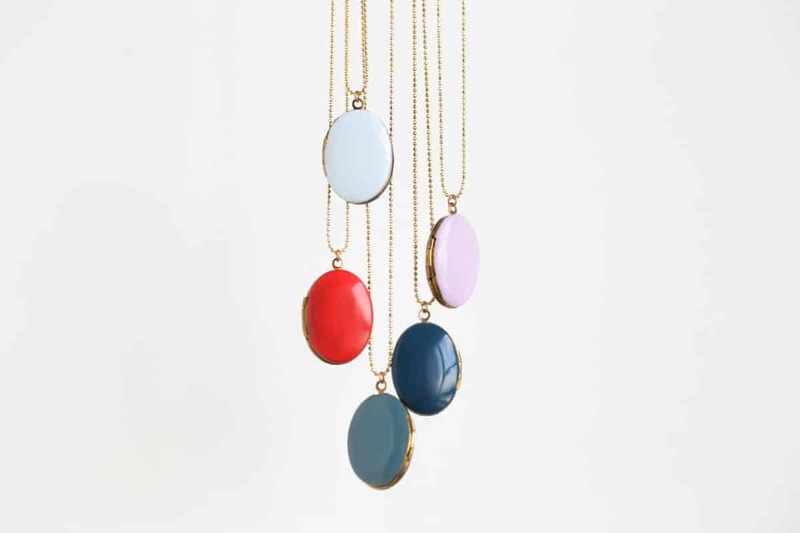 Well, perhaps these adorable, mod looking lockets will hold your attention a little bit better! Burlap and Blue suggests finding some simple old lockets on chains at the nearest thrift or vintage store and using nail polish to add a pop of colour to the front, adding a clear top coat for lots of shine. 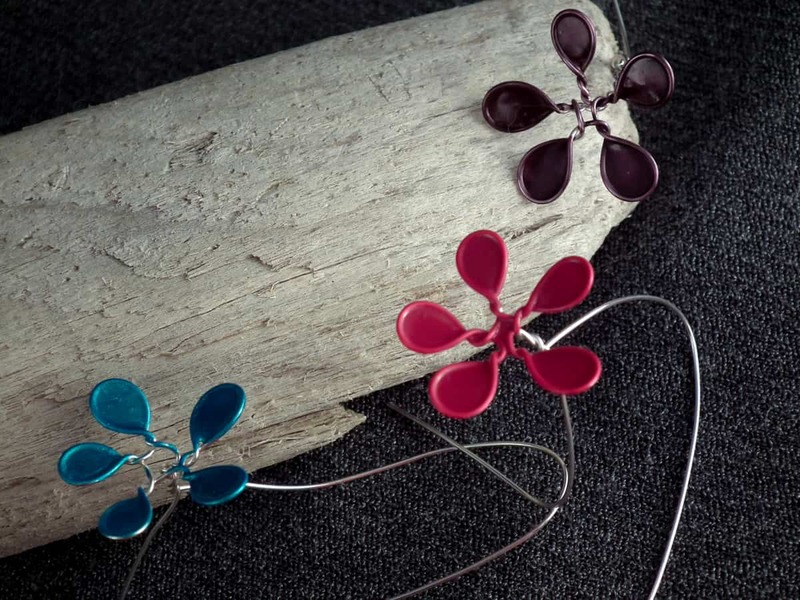 We love the idea of making a few in different colours andw earing them at once. Have you always been the kind of nostalgic person that loves to actually print and display your favourite pictures of your friends and family, even though we live in the digital age? We love hanging photos up as well, but we’re also big crafts nerds who can’t pass up a chance to embellish the frames we choose in all kinds of different ways. That’s why this fun water coloured frame design from The Geeky Southerner caught our eye! We love that they used Disney cut-outs and stickers to add even more character, making it the perfect frame to remember your last family holiday with. 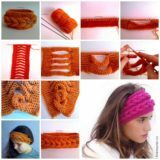 Were you very intrigued by the simple polished hair clip idea we showed you above but you’re just not sure that you’ll really wear those larger style clips because the only pins you tent to put in your hair are small bobby pins? Well, never fear, because you can create essentially the same effect with regular bobby pins as you saw above! 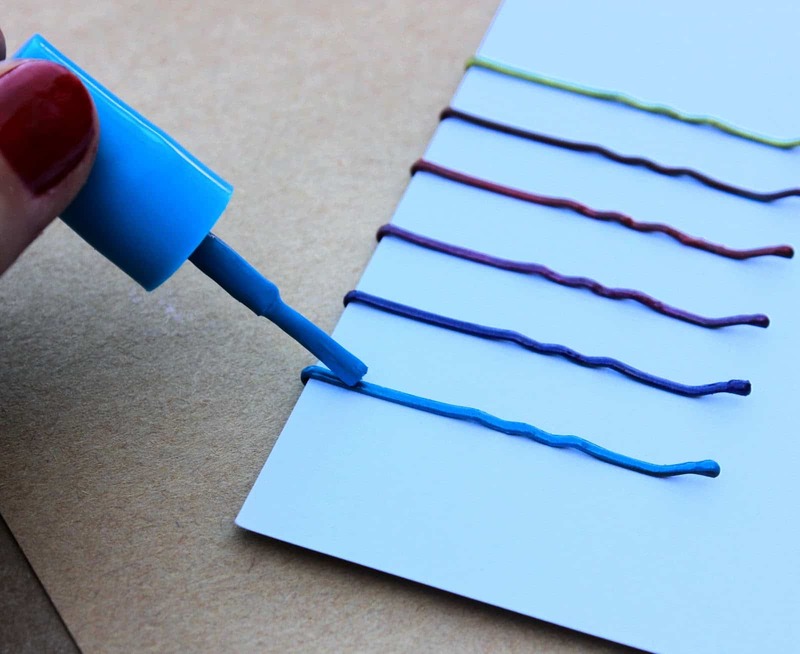 Lines Across gives you a few tips for painting many pins in different colours at once without making a big mess.